I'm really glad I did, though. Even if you aren't much for musicals, you will still find "Pitch Perfect" entertaining. Why? Well, for starters, there's Fat Amy. I don't think words can really describe how epic she is. She makes this movie. She has the best lines in it and she is downright hilarious. Then again, she always has been. I think she was the only good thing about "Ghost Rider" (remember that "movie"?). Secondly, it is witty, in general. Not just with the terms that the acapella groups use like "pitch slapped" and "aca-scuse me", but as a whole. Think "Easy A". Thirdly, Anna Kendrick has never done a bad movie in her life. #fact (The "Twilight" movies don't count.) Although this obviously isn't anywhere near her best work, I enjoyed learning that she can actually sing. Anna Kendrick still has my vote to be Ana in the "50 Shades of Grey" movie, by the way. Make it happen, Hollywood! Fourth of all, the cast, in general, is perfect. From Fat Amy to Anna Kendrick to the Treblemakers to the Barden Bellas, there was no mis-cast actor or actress. And who doesn't love a perfect cast? And, of course, there's Skylar Astin - a newbie in the world of movies, musicals and rom coms. He stole my heart with his movie geekiness and wit in "Pitch Perfect" so much that I actually drafted a blogpost dedicated to him alone. Wait for it. A feel-good movie worth seeing at home. I love this movie! Anna Kendrick is into theater/Boradway so that's why she can sing. 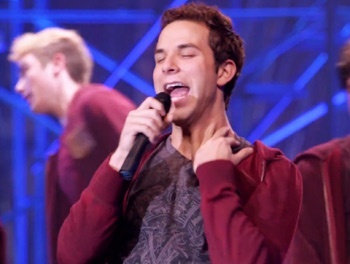 And Skylar Astin is a theater actor too. And I really like the fact that they didn't bring in super big time Hollywood actors just so they could earn more money. But they did earn lots of money. For a movie with 17 million dollars for a budget, they earned 76 million dollars! LOL i commented too much :)) I just love this movie so much! I really enjoyed the movie! 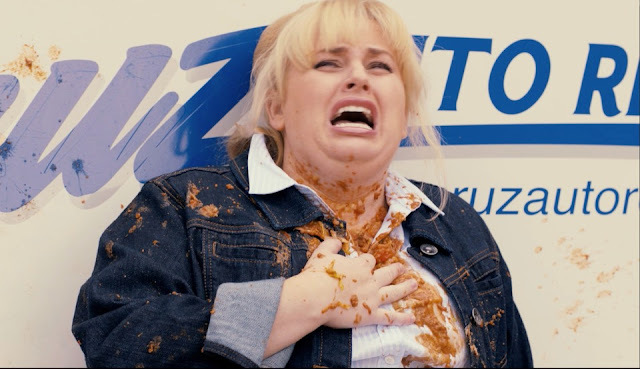 Fat Amy is such a character! :) I haven't gotten tired of watching it over and over. I've seen it 3x now. I've watched this too as my officemate forced me haha, well same here it's a predictable, feel good movie not that uber uber great as the hype but it's ok, perfect casting -agree! and oh I also like Jesse! apir!